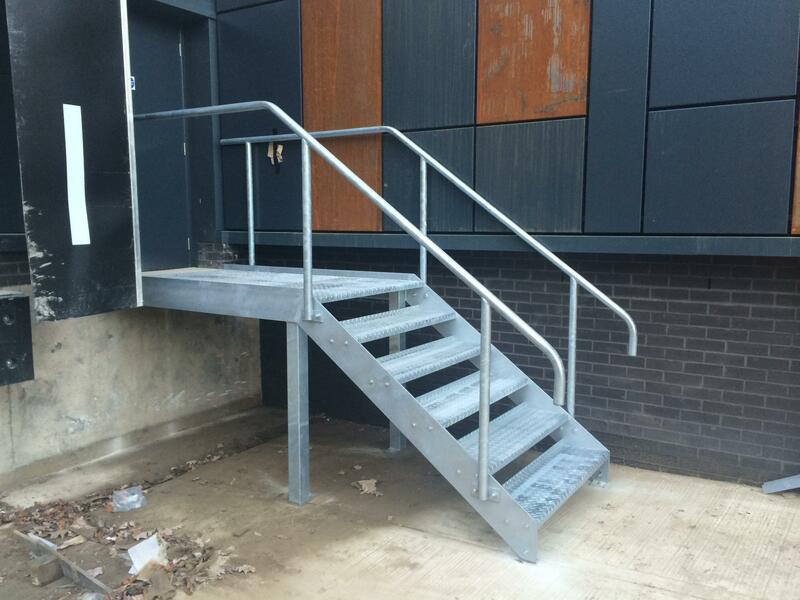 Fire escape stairs are designed and manufactured to sit individual buildings and have single or multiple flights, with interconnecting landings, and independent support structures. 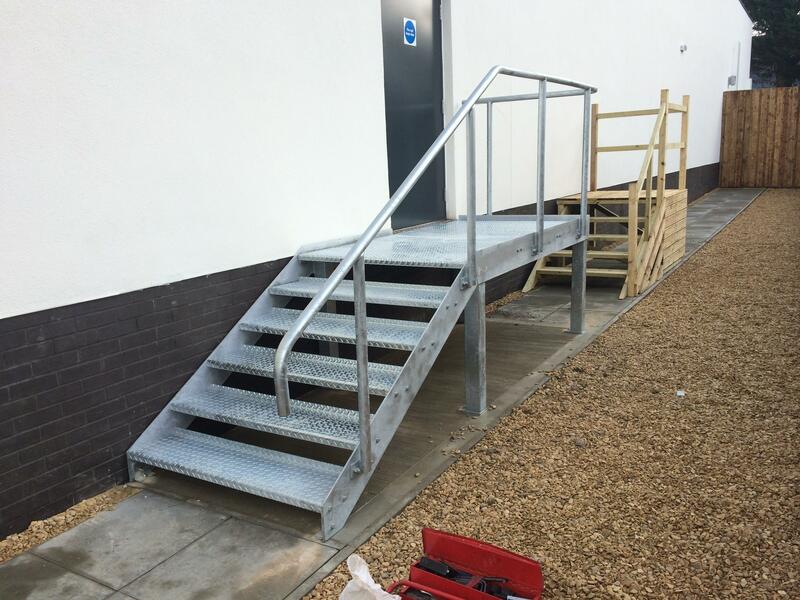 Stairs are normally fitted with non-slip solid plate type treads and landings, together with vertical bar balustrades to guard the edges. 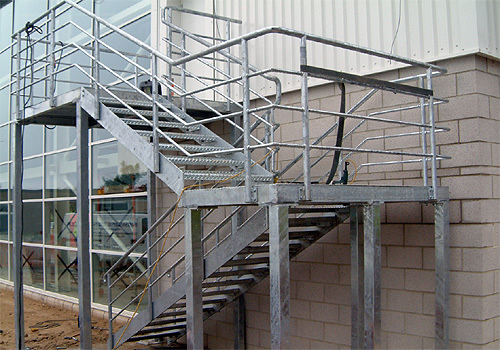 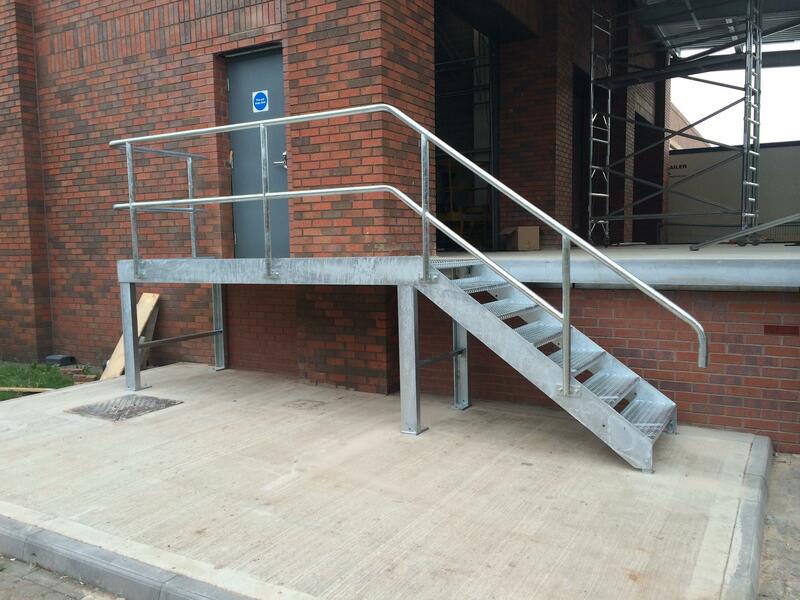 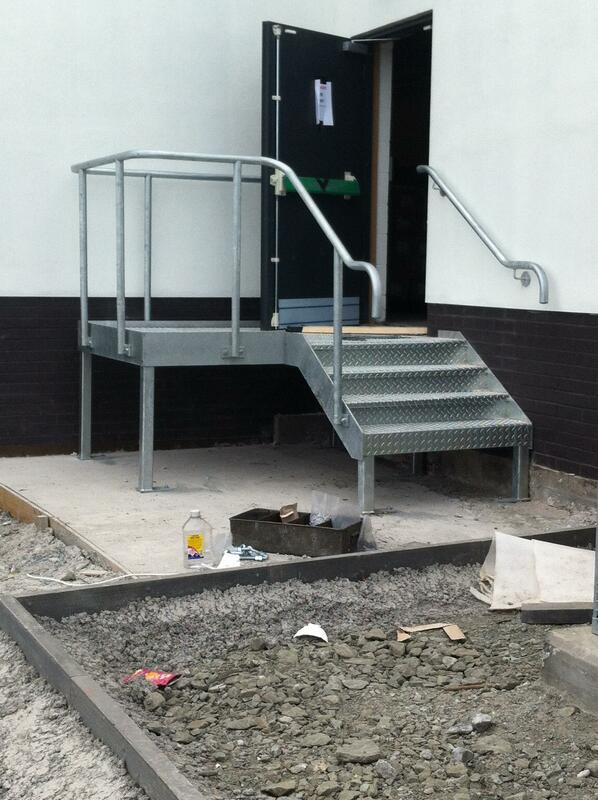 Fire escapes are offered in a galvanised finish.